For all the thousands of beers I've had there are still surprises. I delight in those times when I find (or revisit) a beer or brewery that I'd taken to writing off in my head and am pleasantly surprised. Here's how it played out this time. 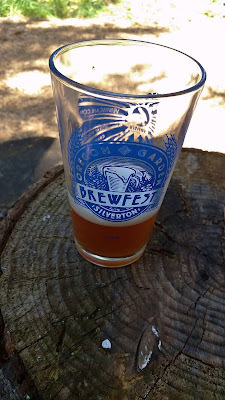 Yesterday was the first day of the Portland International Beerfest and my first time attending. A few weeks ago I had been contacted by the PR folks for Pilsner Urquell encouraging me to stop by their set up at the festival if I was attending. At the time, and even up until last week I wasn't sure I'd be attending, and in all honesty Pilsner Urquell isn't a beer that was a big draw for me. What I found was a branded and wrapped (inside and out) sprinter van that was decked out with a fully functional Pilsner Urquell tap, bar stools, a barrel "table" and a TV as wide as it was. And cases of glass Pilsner Urquell mugs. Here there would be no pouring into the festival's sampling glasses, they were going for the full experience. 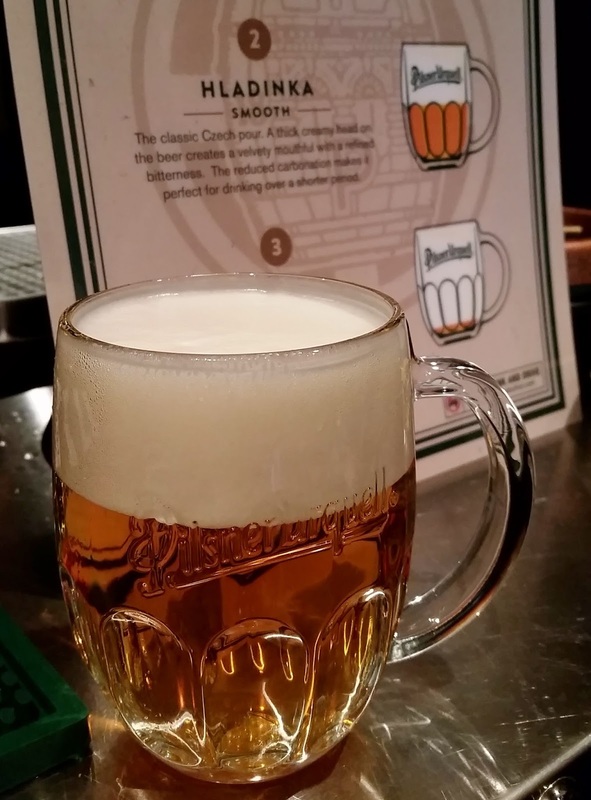 Prior to yesterday I had seen a Pilsner Urquell poster once at a bar showing about the three ways to pour it. At first glance I thought they were talking about three different beers but no, three different ways to pour the exact same beer that provides three very different drinking experiences. The quick version is that Na Dvakrat or Crisp is the standard way we're used to having beers poured, Hladinka or Smooth has a greater percentage of head and Mliko or Milk is something that just might blow your mind. I opted to start with Smooth and yes it was. It was also nothing like the unpleasant-to-me flavor I associate with pilsners in general. Then it was time to try the Milk. It's nearly all foam although not like the head on a beer that is a bit choking to ingest, but a dense foam like you'd enjoy atop espresso in a cappuccino. It's standard to shoot a Milk pour although I enjoyed mine at a slightly slower pace. Beyond learning about and trying first hand the different pours I was surprised to find the I truly enjoyed the beer. Having previously only had it from a bottle, the draft version made for an entirely different beer. Those who know me know I'm not keen on pilsners as a style and that I drink very few imports. I'll chalk this up to another eye/taste bud opening experience. I'll also be much more likely to order a Smooth or Milk if find myself at a bar that has a Pilsner Urquell tap than I would have been before yesterday. So if you find yourself at PIB this weekend I'd encourage you to go visit the folks at Pilsner Urquell, too. Oh, and keep an eye out for opportunities this fall to drink the unpasteurized, unfiltered version at a few select locations around town. On our way back from the Oregon Garden Brewfest we decided to sneak in a couple of brewery visits, places that aren't far from Portland but are just far enough that we knew it might be a while before we took the time to visit them. Wolves & People, the highly buzzed about addition to Oregon's breweries, was the first that came to mind but upon seeing that they didn't open until 2pm we searched a bit and were reminded of Deception Brewing in Dundee. Opening at noon, it seemed the perfect way to span the time between checking out of our hotel room and when Wolves & People would open. 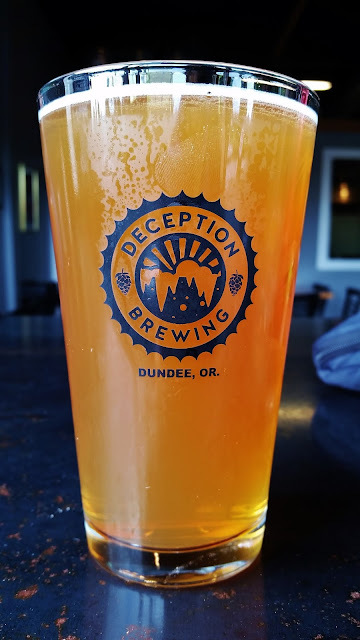 Deception Brewing sits along 99W and while we'd driven by it at least once coming back to/leaving from Portland it hadn't been a planned stop so we ended up not stopping (sound familiar?). 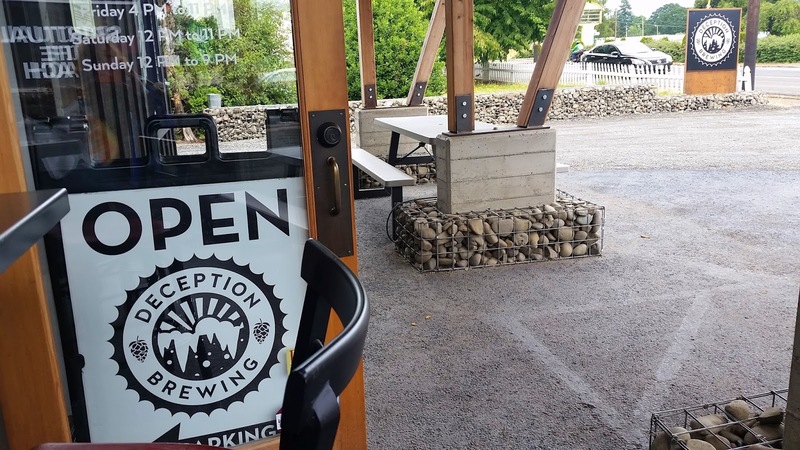 Coming south on 99W it was an easy turn into their parking lot in back and as we walked up the beautiful, heady aroma of beer being brewed hit our noses, bringing immediate smiles to our faces. The front sports a permanently covered area with picnic tables and a fire pit. An indoor/outdoor bar with tall bar chairs on each side spans one half of the front wall, a perfect place for us to sit with our pooch (the patio being dog-friendly) while still feeling like we were getting the brewery experience. In our direct line of site was a window to the brewery where as our noses had tipped us off to, the brewers were hard at work. Inside above the actual bar was a chalkboard with 10 beers listed, five of which we immediately ordered up in sampler size. We worked our way through two pale ales (Long Gone Day and Spruce Tip), Menage a Hop IPA, Ragged Rocks CDA and Sludge Factory stout. The Sludge Factory smelled amazing, giving a preview of the rum barrel-aged beer, but per our general tasting plans we started out on the light end. Long Gone Day was almost hoppy enough to be an IPA - excellent! - and while I didn't get much spruce character the Tip was fine for the style. The IPA was right up my alley and while the CDA could have used more hop bite in my opinion, Mag was quite pleased with it. Finally it was time to see if the flavor of the Sludge lived up to the aroma. Oh yes it did! While we could have continued on the sampler path with a second set to ensure we tasted everything available that day we moved to pints of our respective favorites of the five. Leaving some un-tasted gives us all the more reason to head back in the near future. Perhaps you'd like to come along. Last weekend marked our fourth year attending the Oregon Garden Brewfest and its night-before event, the Brewer's Tasting Dinner (now in its fifth year as part of the festivities). The six-course dinner is an interesting mix of industry folks (brewers, bar/restaurant/business owners and media) and people who may or may not be attending the festival as well. One of the couples at our table this year had only heard about the dinner the morning prior on their local news of choice and although they had other plans preventing them from attending the festival they jumped on tickets to the dinner, driving down from Portland for the evening. The first year the dinner was great, the second not quite as good and last year, well let's just say that if it had been the only year I'd attended I might not have gone again. But this year, wow!, a redemption in the food and the beers and even the service was a bit more coordinated. Grab a napkin for your drool, here's a recap of the meal. The beer, part of their Saison program and made with peaches and apricots, was something I was looking forward to but the Saison characteristics were a bit too pronounced for me to enjoy much of it on its own. The food however, especially the fontina crostini but also the poppy seed dressing, made a fantastic paring. Light and balanced in intensity, the meal was off to a promising start. 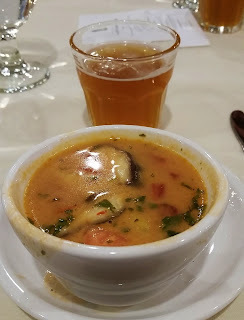 The soup, similar to something I make at home, had amazing aroma and flavor with the only detraction being that unchewable portions of the lemongrass had not been strained out of the soup (something my dining companions commented on as well). The infusion of the beer was something done especially for this festival and in my view could have been done with a heavier hand as the flavor was mostly from the hop profile. No problem though, the beer was tasty and a great counterpoint to the soup, neither overpowering the other, instead complimenting and amplifying the spiciness of the other with each sip and slurp. Here the food was the dish I was most excited about. I mean bacon and brisket? Yeah. Fresh out of the kitchen the aroma left my mouth watering and they were perfectly cooked, remaining moist and not at all greasy. 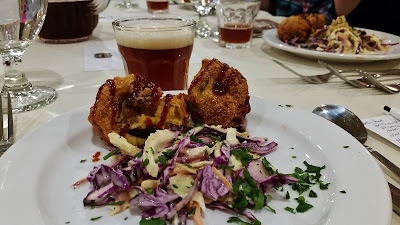 The beer, heavy on the malt aroma and flavor, I wasn't a fan of on its own but it paired exceptionally well with the cornmeal in the hush puppies. More of the BBQ sauce would have been great as there was only enough for my hush puppies and I would have liked a bit more to drizzle over the slaw. Pasta can be done well or pasta can be uninspired and forgettable. This was most definitely the former, being buttery and lemony (although it needed pepper). The pale ale was said to have been infused with spruce tips from the Oregon Garden and although I wasn't getting any spruce it was delicious and amazing for being a pale ale. In addition its brightness provided a compliment to the lemony pasta and balanced the rich butteriness. Mag was correct in his observation that this was dish was comfort food all the way. 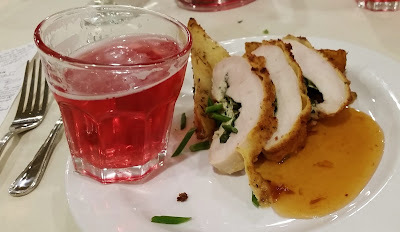 The chicken, another potential hit or miss item, was very tender and although a bit over salted, was nicely balanced by the sweet, vinegary sauce and the mead. Speaking of Cluster, it was beautiful to look at but to drink on its own, is reminiscent of Kool-aid. Another successful pairing and a good thing there was only one more course to go as my belly was filling up. Dessert was a beautiful presentation of a towering mousse creation with cherry-goodness truffles. The beer being a strong ale was expectedly malty, hoppy and big. Perhaps a bit strong for the mousse, even as full as I was I would have eaten a table's worth of the cherry truffles and drank a pitcher of the beer the pairing was so good. A perfect ending to dinner. 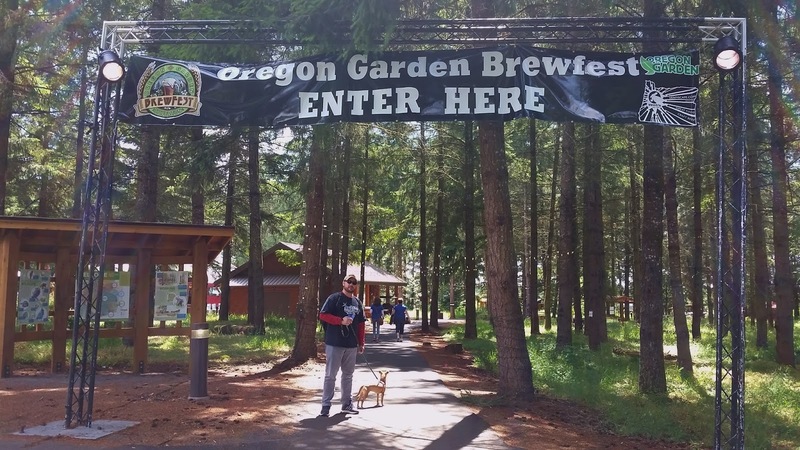 Oregon Garden Brewfest Changes: Yea or Nay? The 12th Annual Oregon Garden Brewfest took place last weekend on the gorgeous grounds of the Oregon Garden. Like any annual event it will periodically undergo changes, hopefully changes that will make it better and more appealing to attendees. Two years ago it made a significant change to the date, going from April to June when not only was the weather more likely to cooperate but the gardens were more beautiful. The change in start time, perhaps a mere three hours to some, is most significant for those of us who came down the night before for the Brewer's Tasting Dinner. 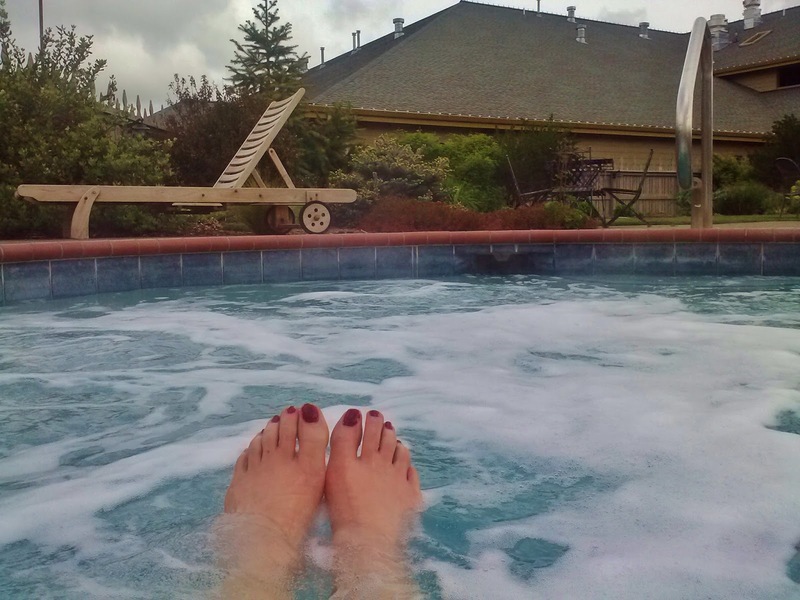 In the past the noon start time has usually meant a slow Friday morning, perhaps recovering from a wee bit of over indulgence of food and drink the night before. While the later start time doesn't necessitate a change to that, it does leave more hours to fill. We used that time to go on a hike and were able to take our time doing so instead of feeling rushed to get out of the room in the morning and rushed to get back for the start of the festival. For those who didn't stay overnight the difference may not have even been noticed and I suspect the reason for pushing it back was to eliminate a few hours when there was not a huge crowd. 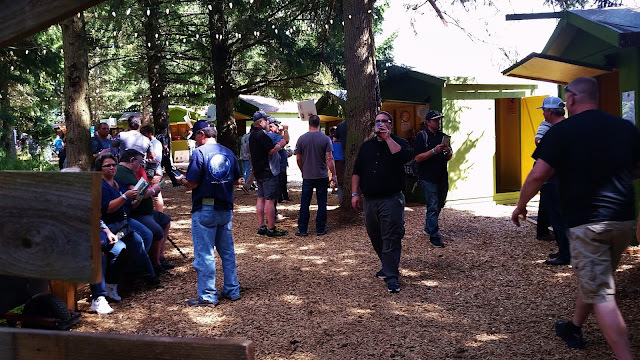 The second change, setting up "tasting cottages," each housing the beers/ciders from three breweries in Rediscovery Forest upped the appeal tenfold. No longer relegated to fitting rectangular tables into a square or rectangle structure, the "tasting cottages" were spread along a slightly curving, woodchip-lined lane under the towering trees. 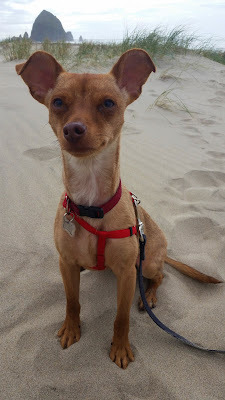 An added bonus is that since dogs are allowed in the gardens, dogs were allowed at the festival and it afforded our new pup his first beer festival experience. The final change was that the tasting marking on the festival glasses (real glass pints) was significantly lower to the bottom than in the past, allowing for 2oz instead of the standard 3 or 4. At first take I was a little irritated but in practice the reduced amount meant I was able to try more beers before reaching my limit. I suspect part of this decision may have been influenced by the varying price of the kegs. It seems lately more and more festivals are charging varying numbers of tickets for the same size sample. I can do math and I get it; nevertheless I do feel a little nickel-and-dimed when I get to a festival only to discover at least half of the beers I planned to try are double or triple the number of tickets (I've yet to see the number of tickets each beer will cost posted in advance). This is an alternate way to deal with the issue of pricier kegs and keeps things simple for everyone involved. I'm not saying I love it but I do think I prefer it to the alternative, more widely used option. One final note, this year's Brewer's Tasting Dinner was the best to date. I'll try to find the time in the next few days to put together a post of the deliciousness to share with you. 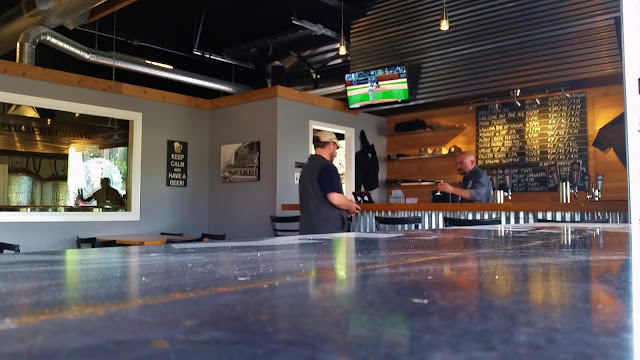 Lompoc Brewing is holding an eight-course Brewer's Dinner June 22, giving folks a couple days to recover from PDX Beer Week before tucking into an evening that will include pan seared duck breast, dessert crepes and cheeses. Head Brewer Bryan Keilty, who was a chef before he became a brewer, collaborated with Chef Mark Otey on a menu that offers a wide range of flavors both in the food and the beers they're paired with. 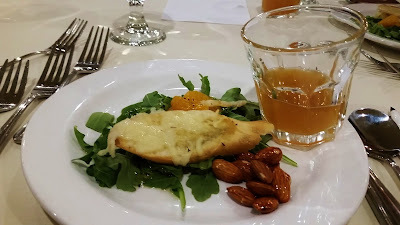 Last week I had the opportunity to sample three of the dinner's courses and to put it bluntly - YUM! The tasting started out with the first course, yellow fin ahi tuna tartar with julienned English cucumbers and pears prepared in the uke style, paired with Cranberry Saison. 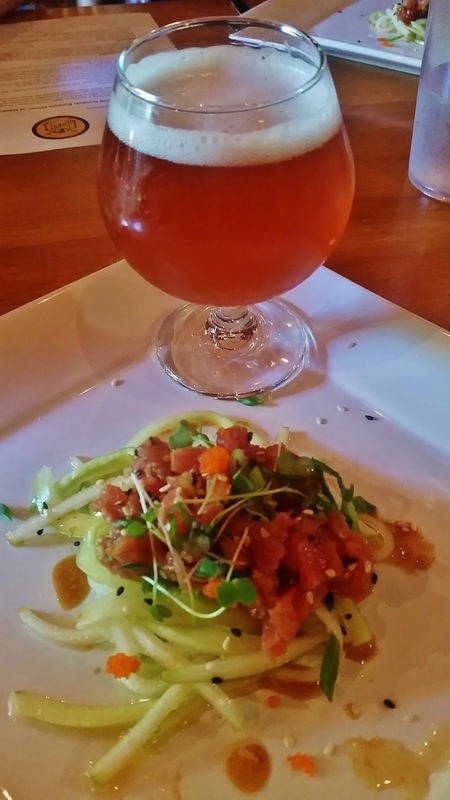 The pear and soy sauce added a mild sweetness to the tuna tartar with the cucumbers giving it a refreshing crunch, all of which matched the beer in intensity - a great, light start to a multi-course meal. The Cranberry Saison is a great summer beer, clocking in at an easy drinking 5% ABV with enough cranberry flavor, from the cranberry puree added at the end of fermentation, to balance the Saison base. We then skipped ahead to the third course, micro green salad tossed in a vinaigrette made from agrumato, apricots and pink peppercorns, paired with Mystical Apricorn Belgian Pale Ale. 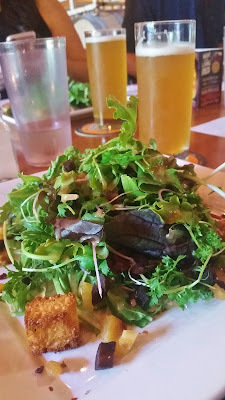 Besides the great name, this beer has a complexity from the pink peppercorns (added at the end of the boil) and the apricot puree (added at the end of the fermentation) that complimented the vinagrette dressing the salad. Another light pairing overall with the beer presenting more assertive Belgian characteristics. The final course sampled, pan seared duck breast with brandy cherry glace de canard and a roasted cashew and duck confit risotto on roasted seasonal vegetables, paired with 2012 Black Mamba Sour Stout, was decedant deliciousness. Both the beer, aged for four years on sour cherries, and the glazed duck smelled amazing. It was hard not to snarf both up in an instant. 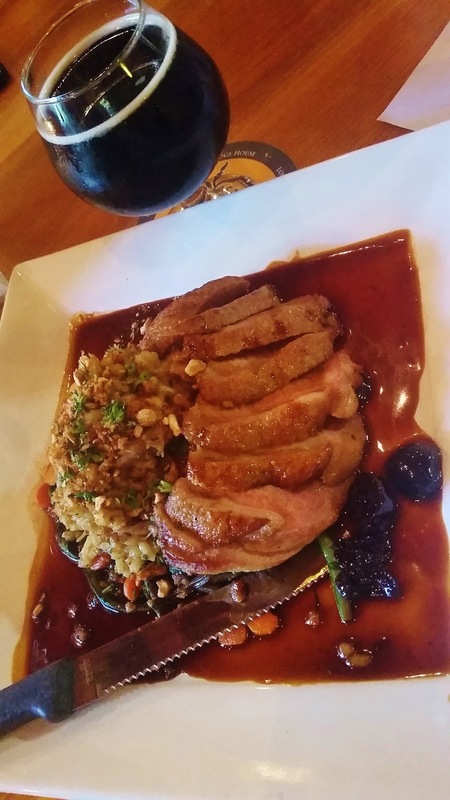 I'm not sure which I could have consumed more of, the 4.5% sour stout that while thin for a standard stout is perfect for a sour version, or the duck in its meaty-not-sweet cherry glaze. 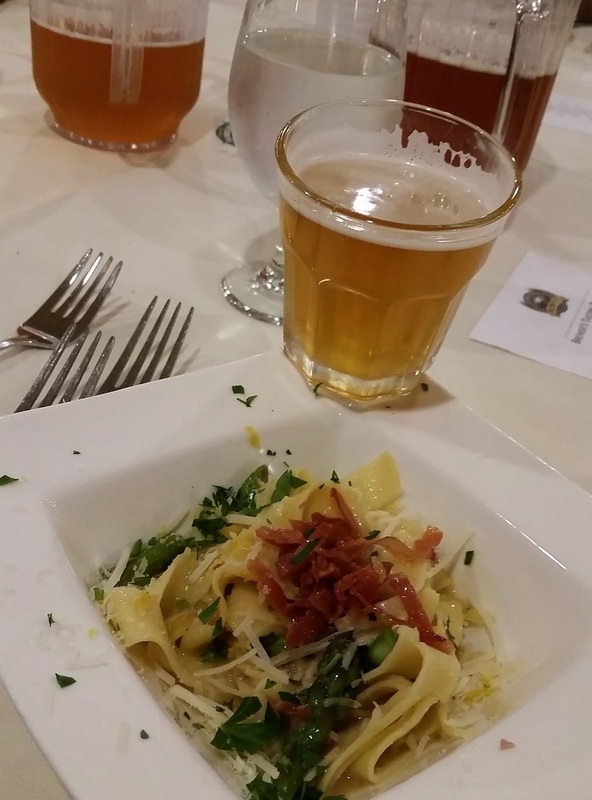 We were also treated to a taste of the beer for the fourth course, Straight Outta Hopton IPA (another great name!). It's a collaboration with two loyal Lompoc customers that isn't so intensely hoppy that it will overpower the sorbet it will be paired with at the dinner, but with enough hop character for this hop head to want to order a pint of it. Tickets for the dinner are $65/person and available by calling 503-288-3996 or stopping by Fifth Quadrant. Full menu and details can be found on the Facebook event. One week from today the 12th Annual Oregon Garden Brewfest kicks off in Silverton. 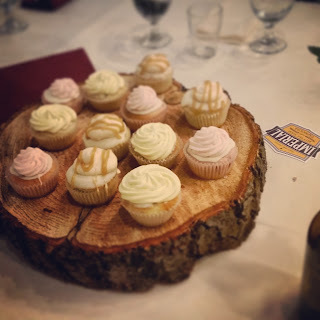 One week from today I expect to be waking up still stuffed from the Brewer's Tasting Dinner the night before. Before we talk about the fest, let's talk about that dinner. 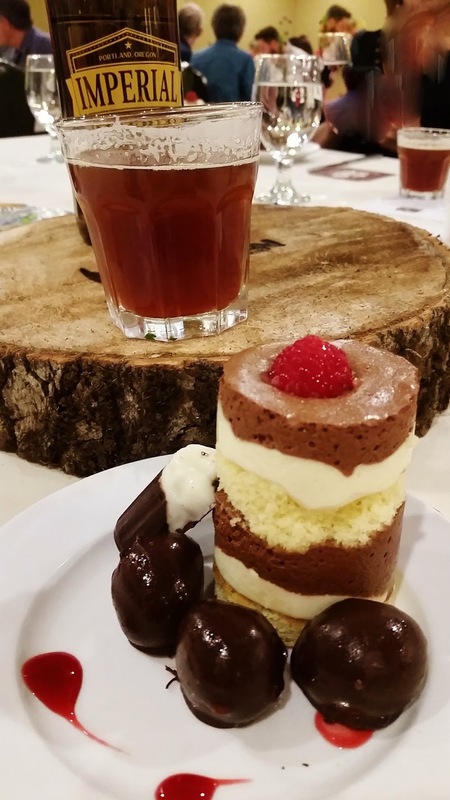 It's a six-course, beer pairing meal, this year with beers (and one mead) from Ordnance Brewing from Boardman, Worthy Brewing from Bend, Nectar Creek Mead from Corvallis, Silver Falls Brewery from Silverton, Fremont Brewing from Seattle and Three Creeks Brewing from Sisters. Since brewers or brewery representatives tend to be scarce at beer festival in these parts (not so back in the Midwest) it's an added bonus that someone from each brewery is at the dinner to talk about what beer we're about to drink. Bonus #2: in looking over this year's menu I'm not seeing a single beer that I've had before. If I've intrigued you enough to check it out you'll see that there's meat in nearly every course however vegetarian options are generally available (indicate at the time of purchasing a ticket). Since I'm getting full already thinking about that meal, let's skip ahead to the festival itself. Starting at 3pm on Friday (noon on both Saturday and Sunday) the festival will feature 120 beers, ciders and meads from 60 different breweries. If you've done the math that works out to two from each brewery which is especially nice for those I'm less familiar with like Climate City, Drinking Horse and Wolf Tree. One big change, and an exciting one as far as I'm concerned, is that the festival is moving out of its indoor setting and instead booths will be dotted throughout the woods of the botanical gardens pouring beer. I'm hopeful that it will turn out to be as cool as I've imagined it in my head. him (he thinks he's invisible). and Craft's 1st keg to kick. Craft Pour House made their debut on the tap room scene in Beaverton last week, adding to the number of reasons to head out to the west metro. The nearly 2,000 square foot space sits on the end of a strip mall off of SW Walker and 158th Ave surrounded by abundant parking. With two of the four walls being nearly all windows the space inside is bright and filled with a combination of small and large tables to easily accommodate any size group in addition to my seating of choice, a bar facing the taps. Justin demonstrates the face many die hard craft beer drinkers respond with when asked "what's your favorite beer?" Those taps, 26 of them, are primarily filled with craft beer but also include two for wine, four for cider/mead and even one pouring cold coffee. 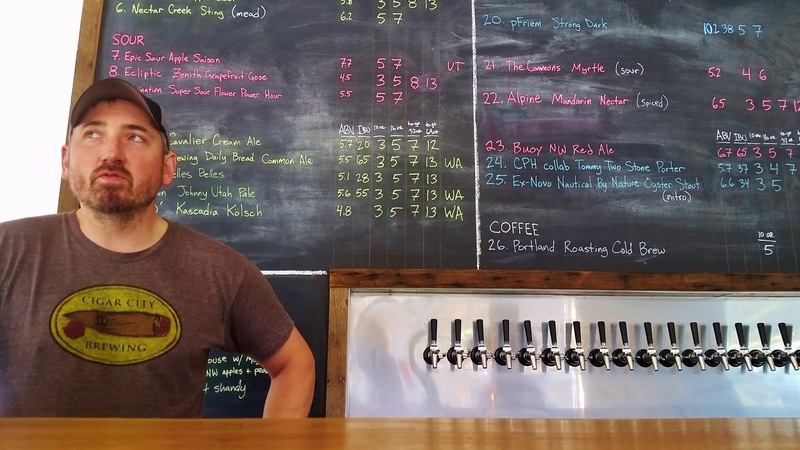 Justin Craft, co-owner with wife Violet, knows his beer and the tap list reflects that. He also knows that many craft beer fans like to try multiple beers so there are 10 and 16oz sizes available (plus the requisite sampler tray). An added bonus is that the majority of the 10oz beers are $3. 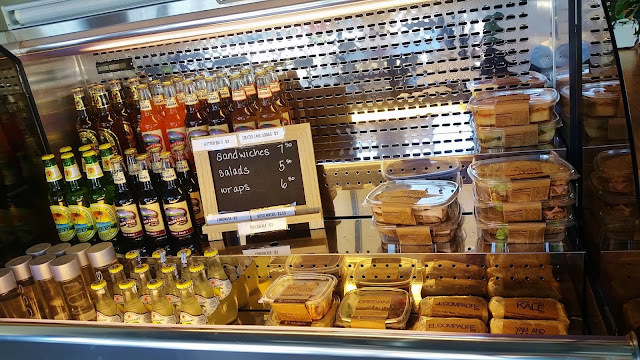 To go along with the beer, and to allow minors to enter (currently until 5pm), there is a deli case of sandwiches, wraps and salads. As is the case with many tap rooms that don't have a kitchen, outside food is welcome. There are a variety of Asian-ish restaurants close by (Thai Cabin, Crazy Sushi Shoten, Wu's Kitchen and Best Teriyaki), a Fred Meyer across the street and what would be my eatery of choice when in the area: Popeye's. Or bring something from home...maybe a picnic to be enjoyed on one of the outside tables with your furry friend. 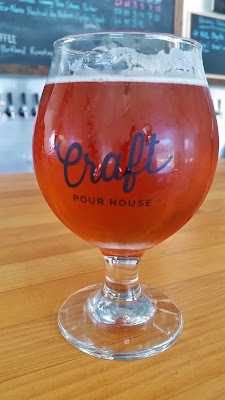 ﻿Whether you live/work in Beaverton or are just looking for a new place to hit some weekend (traffic can be messy during the week if you're coming from the east side as I am), Craft Pour House is definitely worth checking out. The Portland Fruit Beer Festival, now in it's sixth year, is putting on its big boy pants and moving from the east side into downtown. Taking place Friday, June 10th through Sunday, June 12th it's festival that has gained in popularity to the degree that a move was necessary. The original space, in the parking lot of Burnside Brewing, worked at first but over the last couple of years, even with the expansion across the street, it was easy to see that the festival had outgrown it's space. Kudos to the organizers for making the much needed move. The North Park Blocks (bordered by NW Park, 8th, Davis and Everett) will be "30% larger with grass, trees, park benches and more shade." For anyone that's attended the festival those will be welcome changes to the baking parking lot surface as the festival has generally lucked out with beautiful summer weather. A couple other changes are worth noting as well - a change to the tasting glass and an expansion of hours. It should come as no surprise to Portland festival goers that the city doesn't allow glass vessels at festivals. When the event was at Burnside they were able to use them but this year it'll be a "branded Govino cup," which according to their website "is made from a crystal-clear, ultra-thin, BPA-free polymer, which accentuates the flavor, color, and aromatics of all types of beers. It is shatterproof, reusable, recyclable and proudly made in the USA." Getting to pricing, walk-up general admission is $25 and includes Govino cup and 12 drink tickets while advanced general admission packages online will get you three more drink tickets (15 total) however as with most online purchases there are service fees ($2.40 in this case). $27.40 for 15 tickets in advance or $25 for 12 tickets at the door is pretty much a wash as additional drink tickets are only $1. One final note before I leave you to prepare for the festival later this week - 4oz pours will cost 1-3 tickets depending on the beer or cider ordered. Since the festival has started the number of samples that have cost more than one ticket has increased. While it's understandable that certain beers are more expensive to make it would be nice to see in advance how much each sample will cost. Maybe that's just me but if I go to the festival thinking I'm going to spend $25-$30 and end up spending perhaps another $20 in order to try the beers I want to I'll likely be less happy than if I knew up front that the beers I really wanted were primarily going to cost more than one ticket. Enough of my commentary, get to drinking! Untappd users: save yourself some onsite hassle and create a wish list for easier check-ins while you're there.